Once upon a time in the beginning of months of 2017 there was a union created among two black men from different backgrounds. These men, Kenway and Alex, understood that the city of Los Angeles was missing one key element in the party scene, FUN. This entrepreneurial pair decided to create an event that not only shares great praise for LA but also an event that embodies true essence of fun. #ThankYouLA is a dynamic, immersive experience that celebrates all of our blessings, big or small, while living in the beautiful city of Angels. TYLA was first created as a customer-appreciation event which then grew into the vibrant, energetic, and enthusiastic event we now experience on a monthly basis. High-energy dancefloor, Amazing DJs, HennyBowls, Southern Styled Buffet Brunch , and we cant forget Bottomless Mimosas are all features of TYLA that allow for complete separation from any other event in the nation! As you can see, this is not your ordinary brunch day party but in actuality it is truly a mirror of what future events of this caliber will look like. You are witnessing and experiencing the opportunity to see what it means to have fun embrace you and take you on an unforgettable ride! 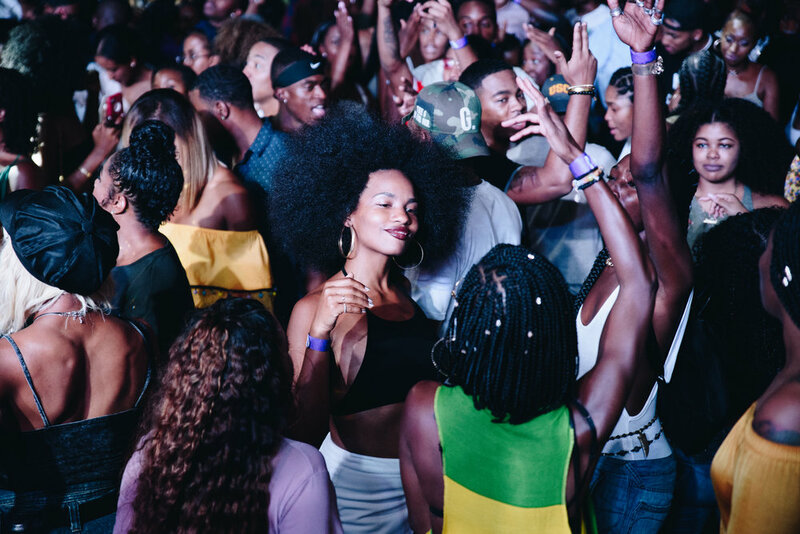 The sole purpose of TYLA is to connect all ranges of people in LA through music, culture, dancing, food, and drinks. Thank You LA, is an event that allows people of all cultures to create memories that will be passed down through generations simply referred to as the "Good ole Days". Gumbo, Shrimp N' Grits, Chicken N' French Toast, Eggs, Bacon, and so much more...... Hungry yet? Yes, TYLA is one of best day parties in Los Angeles but it also encompasses an mouth watering All-You-Can-Eat Brunch! From 2pm-5pm, you are able to enjoy some of the best Southern Styled dishes that mimic the taste of your Grandma's cooking! Southern Style dishes are not best when imitated but only when the chef themselves hail from such holy lands! Allow us to introduce you to our southern sweetheart who preps and cooks this entire brunch, Chef Danni Hollywood. Danni, a proud native of Montgomery, AL, packed up her dreams and yummy recipes in order to chase her bright future here in Los Angeles. It is her unique touch and cooking style that forces our customers to return the following month in need of more servings. 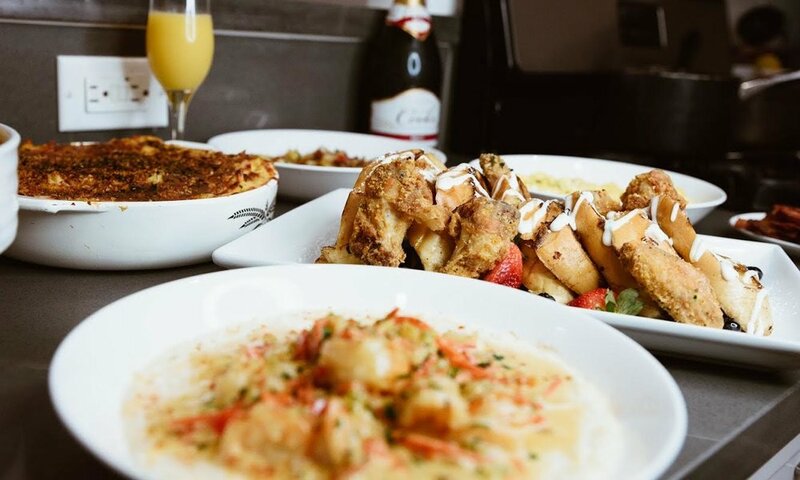 This is not your typical brunch in which the amazing food coupled with the chill vibes might push you to hit a mean two-step while eating and drinking your mimosa. Just imagine enjoying this awesome brunch and then you hear chill melodic tunes like; "On and On" by Erykah Badu, "Yo" by Chris Brown, or even "Groove With You" by The Isley Brothers. With those tunes and amazing food sitting in front of you how can anyone say they are not currently basking in paradise. Now, before you pass out of starvation, come join us at TYLA in order to truly experience this millennial buffet style brunch! As a team we knew that there was something missing that was essential for the TYLA turn-up. That missing item was a signature big drink and thats how the idea of selling fishbowls was concieved. The OG Fishbowl is a drink that similar to a huge long island but much more flavorful. The OG Fishbowl was a fan favorite in the early days until we decided to introduce another smash to the TYLA family of drinks. The HennyBowl was introduced in the ladder part of 2017 and people have been thankful to our team for this creation ever since! HennyBowl... What in the hell is that? 88THx11Mile knew that it was time to add a new cultural piece to the TYLA event. That cultural piece was inspired by the people's drink of choice which happens to be Hennessy. There are many times when a TYLA attendee wants to celebrate a large success but they quickly remember that rent/bills are due in the next couple of days which means bottle service is out of the question. Well, 88THx11Mile came up with solution that allows you and maybe some other people to still celebrate that success to the fullest! This solution was coined the HennyBowl. The HennyBowl is a 64oz fishbowl that not only tastes amazing but is surprisingly very potent and strong. The HennyBowl is one of those "Sleeper Drinks" meaning that when you least expect it you will feel all 64oz of that amazing drink! We suggest that everyone goes HennyBowlin' solo-dolo or even with two other close friends. The HennyBowl in many cases is the catalyst to those unforgettable memories that you hear about from not only us but from those who attend the event.